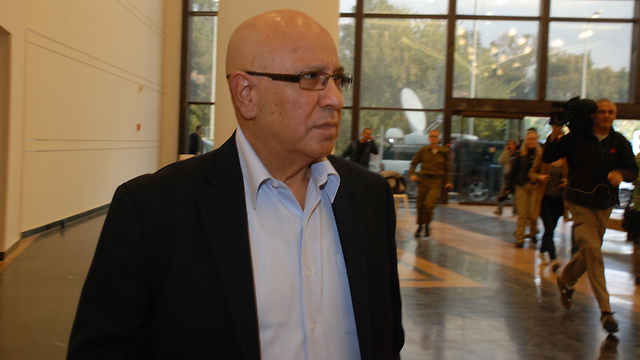 Meir Dagan feels a debt of gratitude towards Benjamin Netanyahu. "When I got sick," Dagan told us on Wednesday, "I needed a liver for a transplant. Netanyahu stepped in to help me. I have no personal grudge against him; to the contrary." Nevertheless, Dagan did have some harsh things to say on the eve of Netanyahu's trip to Washington. A man of vast experience and much influence, Dagan, who served as head of the Mossad under Ariel Sharon, Ehud Olmert and Netanyahu, is a concerned Israeli. "I turned 70 last week," he said to us. "All my children live in Israel. My grandchildren live in Israel. I want the dynasty to continue." Dagan isn't exactly a leftist; anyone familiar with his biography will testify to this. When it comes to Iran, he shares Netanyahu's concerns. "A nuclear Iran is a reality that Israel won't be able to come to terms with," he said. But Dagan believes that Netanyahu, because of the way he is handling the issue, is only bringing us closer to this harsh reality. "The person that has caused Israel the most strategic damage when it comes to the Iranian issue is the prime minister," he told us. Iran's nuclear program, we said, started before Netanyahu's terms in office. "We saw the first signs of Iran's aspirations to obtain nuclear weapons in 1988," Dagan said. "But we began to grasp the enormity of the challenge only in 2002-2003, during Sharon's term in office. Discussions were held. The professional bodies in the defense establishment told Sharon that the problem wasn't only an Israeli one, but a global one. They told Sharon that Israel should keep a low profile, and Sharon accepted that advice. A similar discussion was held with Olmert, and the policy was reaffirmed. "Some 65 percent of the world's oil reserves are in Iran and the countries surrounding it. So, it's a global problem. As for Israel, it enters the fray from a tricky place. Until now, Israel has never signed any international convention concerning nuclear weapons. Israel refuses to lay itself open to international supervision. It would best, therefore, for Israel not to place itself at the forefront. We'll support any effort, intelligence or political, but we will always be on the sidelines." "We didn't sit around and do nothing. The initial sanctions were imposed on Iran in 2003, thanks to our influence." There were also clandestine operations, we said. "There were," he said. "We always said that the Iranian nuclear program could be delayed but that it was impossible to destroy it by means of clandestine operations. When I came to the end of my tenure as Mossad chief, in 2011, I said that Iran would not have nuclear weapons before 2015. I don't like to say so, but I was right. "We had time: Some of it was used wisely, some of it wasn't. We managed to secure the cooperation of numerous countries in the campaign against Iran's nuclear program. We had some significant successes, beginning with Belgium and Germany and through to countries in the Far East. We persuaded states to stop selling items that the Iranians needed for the project – items that have a dual purpose. I'm talking about a huge number – something like 20,000 items. We managed to push through United Nations resolutions against Iran; we promoted intensification of the sanctions; we held very close talks with the Americans. "We achieved an environment in which the international community was afraid to do business with Iran. Corporations stayed away from Iran because they were afraid of ramifications elsewhere – in other words, of losing money. The legal status wasn't the only determining factor; facts on the ground played a part as well. Corporations realized that they would pay a heavy price for violating the sanctions. "But Netanyahu wanted to go one step further. He turned the Iranian problem into Israel's problem. Countries that had taken measures against Iran responded to his speeches by absolving themselves of responsibility. If Iran reaches the moment of truth, Israel will deal with it." Why did Netanyahu forgo the military option, we asked. "All the professional bodies were opposed to it," Dagan said. 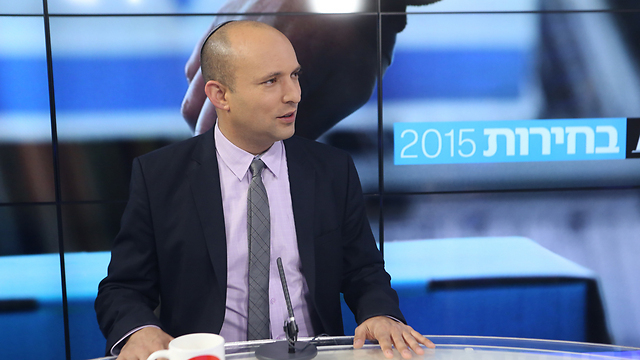 "Netanyahu would have had to take full responsibility for such a decision. He didn't want to take that responsibility." "We were opposed to the military option, but it never occurred to us to rebel against him. None of us doubted that the prime minister had the authority to take such a decision. We voiced our professional opinions, and that's it. He didn't want to take such a dramatic decision without the backing of the heads of the defense establishment because he knew he would bear the responsibility in the end. I have never seen him take responsibility for anything. "I've seen other leaders make decision and admit subsequently that they were wrong. No one is immune from making mistakes. The difference between him and others lies in the willingness to take responsibility. He's great when it comes to words, but not so when it comes to taking action." According to Dagan, "A nuclear-armed Iran poses an existential threat to the State of Israel. I agree more or less with Netanyahu in this regard. Two issues in particular concern me with respect to the talks between the world powers and Iran: What happens if and when the Iranians violate the agreement, and what happens when the period of the agreement comes to an end and they decide to pursue nuclear weapons? "Israel could have ensured American assurances of action if and when the deal is broken. Given the current state of relations, however, I doubt that's achievable now. "Netanyahu is focusing all his efforts on the Americans. He's not reaching out to the other countries. He should have gone to see (Angela) Merkel, (David) Cameron, (Francois) Hollande and (Vladimir) Putin, who he claims to be friends with, and the Chinese. By behaving in the way he is towards the US administration, he is single-handedly motivating the Americans into rushing to reach an agreement. How would Obama explain his failure to reach a deal? That he gave in to Netanyahu? Or the Republicans?" So what do you suggest, we asked. Doing nothing? "If I were to respond cynically, I could say: Let's declare war on the United States, lose and then ask for aid. What we could have done was buy time – clandestine operations; support for opposition forces and minorities within Iran; there are numerous options. I wouldn't have got involved in an internal American conflict, against the president. Congress will applaud Netanyahu, but the power is in the hands of the president. What will Netanyahu gain from this trip? I just don't get it. What's his objective – applause? This trip is a failure waiting to happen. "An Israeli prime minister who enters into a confrontation with the US administration needs to consider the risks. When it comes to the settlements, there is no difference between the two parties. Nonetheless, we are protected by the American veto power. If we are at odds with the White House, we could lose that protection and, within a short space of time, find ourselves facing international sanctions. "The risks involved in such a confrontation are intolerable. We are already paying prices today. Some I know about but cannot elaborate on." The White House, we said, has announced that it will stop sharing with Israel classified information pertaining to the negotiations with Iran. In your experience, does such a decision trickle down to our relations with the US administration on all levels? "Yes," Dagan said, "and it happens very quickly. The head of the CIA is a political appointee; the national security adviser is a political appointee; the secretary of state is a political appointee. They all, the lower-level officials too, work in keeping with the spirit of their commander. We've witnessed this phenomenon during confrontations in the past, with the (Jonathan) Pollard case, for example. We depend on the Americans for strategic weapons. When senior administration officials say that Israel is acting against the national interests of the United States, it represents a grave long-term danger for us. "What message does it send when our prime minister says that we don't need information from the talks and that we have our own sources? Is he implying that we are spying on the United States? "Our standing in the world isn't that great right now. The question of Israel's legitimacy is on the agenda. We shouldn't be gnawing away at our relations with our most important ally – certainly not in public and certainly not by getting involved in American domestic politics. This is not the kind of behaviour one expects from a prime minister." But, we said, Netanyahu sees the deal with Iran as akin to the Munich Agreement. One can certainly understand why he is acting this way. "So he says," Dagan replied. "I'm not convinced that he really believes that. The prime minister needs to act according to a more sober assessment. You need to think about the objective. He didn't discuss his Congress address with professional advisers (from the defense and intelligence communities). Perhaps he spoke to political advisers. "The Iranians are watching it all unfold and they are rubbing their hands in glee. They feel like they've managed to drive a wedge between Israel and its main ally, between the little Satan and the big Satan." The United States held talks with Iran behind Israel's back too, we said. They had discussions with the Iranians in Oman. "I'm not happy about that at all," Dagan said. "It's a reflection of the deterioration in our relations. But the Americans aren't fools. They knew that if they are holding talks Oman, the Saudis, Jordanians and Israelis know exactly what's going on." Most Israelis breathed a sigh of relief following Operation Protective Edge in the summer; and then came the sense of disappointment – after 51 days of fighting, one could have expected a little more than a stalemate when up against an organization like Hamas. Dagan reached a different and much harsher conclusion. The operation was a "resounding failure," in his view. "What did we achieve?" he continued. "Nothing, except a ceasefire that Hamas will violate whenever it chooses. "There have been three operations in Gaza in recent years – Cast Lead, Pillar of Defense and Protective Edge. Hamas learned its lessons well. First, we, Hamas, aren't able to go over the fence, so we'll go under it; second, Israel controls the skies, so we'll bring in and manufacture rockets; and third, Israel bombs us from the air, so we'll build bunkers. "We didn't learn any lessons. Was there an Israeli tunnel going into Gaza? No. Did we define our strategic objectives? No. We worked towards achieving a ceasefire that simply begins the countdown to the next confrontation." Netanyahu, we said, didn't seek to eliminate Hamas because he feared Islamic State would step into the void. "That's nonsense," Dagan responded. "Netanyahu doesn’t understand what Islamic State is all about. Islamic State's occupation of territory was born out of circumstances related to the reality on the ground in Syria and Iraq. Islamic State has no interest in occupying territory in Gaza. Hamas' survival in Gaza served Netanyahu's interests not insofar as Islamic State is concerned, but with respect to Mahmoud Abbas. "Netanyahu mishandled the whole thing. The only thing that interested him was to be photographed on the backdrop of maps. People say Netanyahu acted responsibly. Responsibly? It was a cover for inaction. No thought was given to what we want to achieve from this operation. Everyone knew about the tunnels. To say they didn't know isn't true. When the tunnels became a problem, they bombed the shafts from the air; and then, during the ground operation, they weren't able to locate them." What, in your opinion, should have been done, we asked. "We needed to go for a decisive outcome against Hamas," he said. "There are three components to the war against Hamas, in the following order of importance – the leadership, the infrastructure and the soldiers. The soldiers are the least important. In a place that is home to 1,750,000 people, the soldiers are the most readily available component. The military dealt very little with the infrastructure and didn't touch the leadership. Every time they killed a Hamas member, they named him a brigade commander. I was personally offended: I was a brigade commander. "We embarked on the operation under the most convenient circumstances, and we ended it 51 days later sorely low on munitions. We wasted strategic arms. And what did we achieve? A temporary ceasefire." So what would you have done, we asked - occupy Gaza? "There's no need to occupy every square meter, considering all the costs that such a move would involve. We could have won without occupying. I think Netanyahu wanted another operation like Pillar of Defense, brief and without a decisive outcome; but it didn't work out for him like that this time. He's the man who released more than 1,000 murderers, yet he flexed his muscles in his dealings with Abbas. He refused to release third-rate terrorists. We turned Abbas into a terrorist because of his negotiations with Hamas, and there was no one to talk to during the operation." What did you expect from Netanyahu, we asked. "We should have defeated Hamas and brought Abbas to Gaza, under the patronage of the Arab League. We are dealing for the first time with a supportive Arab League. We and the Saudis and the Gulf States and Egypt are in agreement, both with respect to Iran and when it comes to the matter of radical Islam. We are like-minded even with regards to Turkey; look at what the Egyptians think of the Turks. "We'll always have a problem with the Palestinians. For as long as we refuse to grant the right of return – and I oppose the right of return – there will always be Palestinian elements that will seek Israel's destruction. Jordan's King Abdullah is the one defending our eastern border. He's preventing the smuggling of arms and terror into the West Bank. Without him, the West Bank would become Hamastan. That's why we need to work in close coordination with him." As far as we know, we said, Netanyahu invests a great deal in coordination with Jordan. "I won't tell you what I believe King Abdullah thinks of him," Dagan said. "Today, due to the war on Islamic State, he is getting the full backing of the Americans. He needs Israel less so than he did in the past. "And what does Netanyahu do? He allows people with all kinds of wacky ideas to visit the Temple Mount, the sanctity of which is entrusted to the Jordanian king." Dagan is convinced that the current status quo poses a danger to Israel. We have to reach an agreement with the Palestinians, he said. "Netanyahu's actions are leading us towards a bi-national state, and I don't want a bi-national state. I don't want Abbas as the prime minister of my country. Continuing to establish facts on the ground in the territories will inevitably lead us to an apartheid state." PM says in interview on haredi radio that decision not to include haredi parties in coalition was 'forced' on him and that 'a Jew should not have to go to prison for studying the torah'. 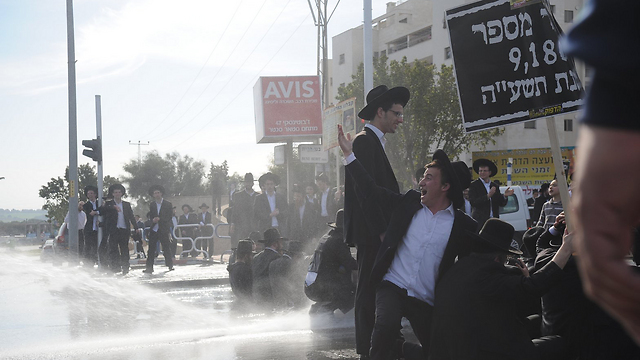 Prime Minister Benjamin opposes criminal sanctions for haredi draft dodgers approved by his government, he said Friday in an interview on a haredi radio station. Asked whether the haredi parties would be left outside the ruling coalition, as in the previous election, Netanyahu said it depended on the number of seats won by his party. "The more we get – the more the danger of that will decrease," he said. "Everyone knows that this reality was forced on me in complete opposition with my view from the first. We are one Israeli people. I think the whole issue of criminal sanctions that were imposed, they too by that same coalition, is something that should be done away with. A Jew should not have to go to prison for studying the torah." Netanyahu also defended his decision to visit Washington and speak before a joint session of Congress next month, despite increasingly vocal opposition from the White House. "I am writing the speech," he said. "It is an important speech. I am going there to try and stop an agreement being formed that is very dangerous to Israel. "We are on the eve of Purim, and we remember the attempts in Persia back then to destroy Israel. Today, in the same Persia, there is a regime that engraves the destruction of the Jewish state on its flag." The Israeli army has begun targeting girls for future service in its technological units through a new partnership project with 25 high schools throughout the country, according to the Israeli media outlet nrg. The plan, initiated by the Women's Affairs Advisor to the Chief of Staff, aims to fill existing gaps in the military personnel needs for technological positions with female soldiers. A female officer at the rank of lieutenant colonel will be assigned to each school and will be responsible for contact with parents and teachers concerning this initiative. An additional female officer at the rank of captain will be in contact with girl students from the ninth grade, one year before they select their track of high school studies. Additional female soldiers will attempt to identify and push appropriate ninth grade girls to begin science tracks in high school, during which they will visit the army's technological units. Statistics from the army's human resource division highlight a decline in the number of high school students who take a full, five unit matriculation exam in math, as well as a lack of some 400 engineers and scientists in the army.